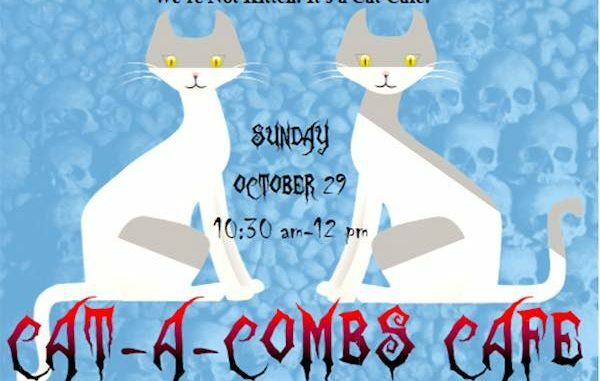 VERO BEACH – The Humane Society of Vero Beach and Indian River County will be hosting its first “Cat-A-Combs-Cafe” brunch on Sunday, October 29th from 10:30 a.m. to 12:00 p.m.
Reservations can be made online beginning Friday, October 6 to participate in the Halloween style event. The Cat-A-Combs Cafe brunch in Vero Beach will allow guests to sit and play with the shelter’s cats while dining in the Humane Society’s festively decorated adoption rooms. 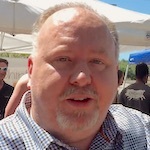 “We’re not ‘kitten around’ – this event is sure to be lots of fun – and guests may even find a feline friend to adopt,” the Humane Society said. Cat-a-Combs Café will feature a lovely boxed brunch and a delicious mimosa or orange juice, dessert, coffee or tea. Vegetarian options are available. Seats are $25 per person with all proceeds benefiting the animals of Indian River County. Families with children are welcome to attend. Reservations can be made online beginning October 6 at www.hsvb.org or by calling (772) 388-3331 ext. 110.